Seeing is Believing. Are you ready to see what a home looks like after experienced and certified craftsmen install the highest quality products from the nation’s leading manufacturers? Not only are our crews factory-trained in the latest and best installation techniques, they also have the goal of earning your complete satisfaction. For everyone at Huff ‘N Puff, your home is just as important as ours! 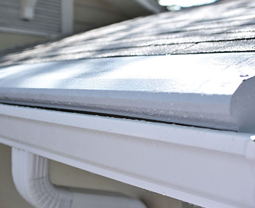 Huff ‘N Puff installs quality gutter systems and can make gutter cleaning a thing of the past. 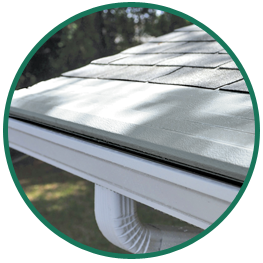 We’re the region’s certified dealer for Gutter Helmet®, America’s #1 brand of gutter protection. 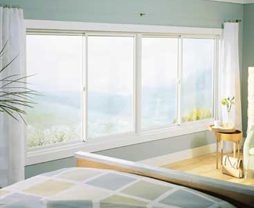 We install Renewal by Andersen® replacement windows, easily the best replacement windows on the market. You’ll be amazed at the quality and performance of these products. 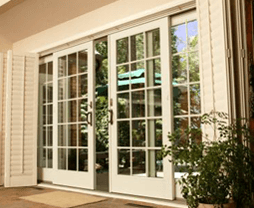 Complement your window installation with our selection of high-quality sliding patio doors, hinged patio doors and elegant ProVia® entry doors. See your options here. Like what you see? Let’s get started! Send Huff ‘N Puff an online price quote request, or call us today at (855) 483-3678 to arrange a free, no-obligation estimate for any service.